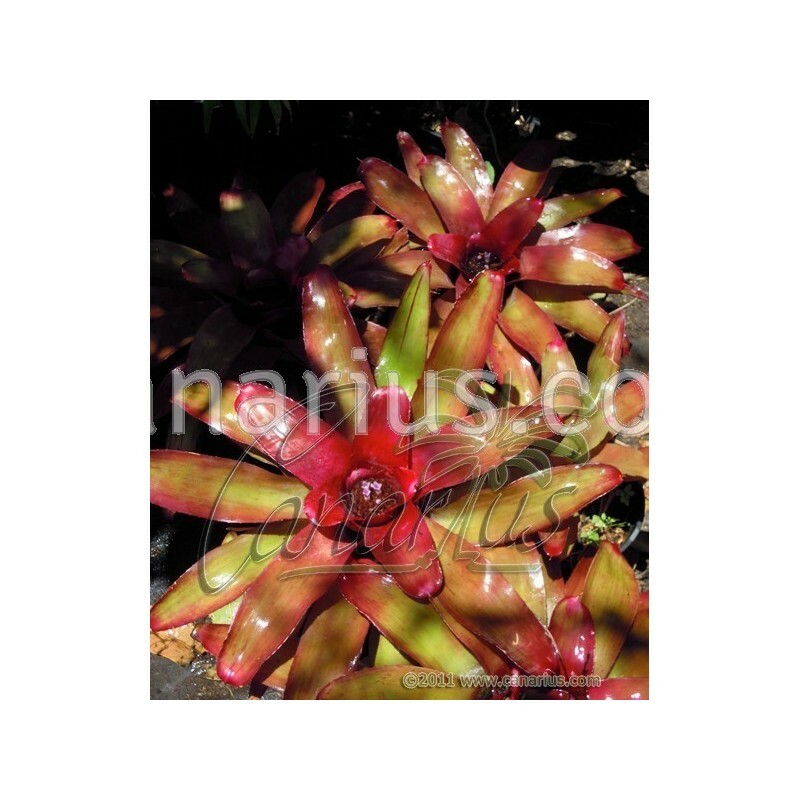 Bromeliad cross with glossy spineless leaves, with round and red tips. 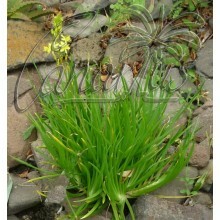 As it blooms, a coral-pink flush appears on the apple-green rosette. It was created (well) before 1970 by Hummel. 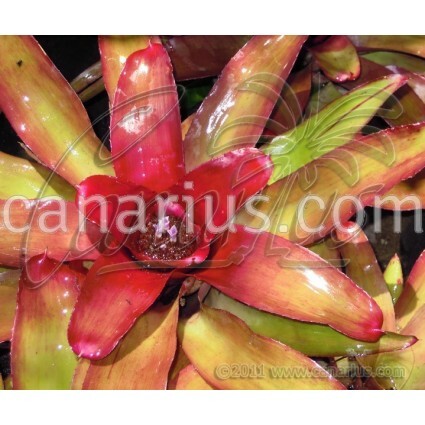 How is Neoregelia x Luxurians? 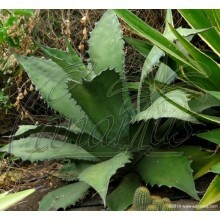 It has glossy spineless leaves with round and red tips. As it blooms, a coral-pink flush appears on the apple-green rosette. It was created before 1970 by Hummel. 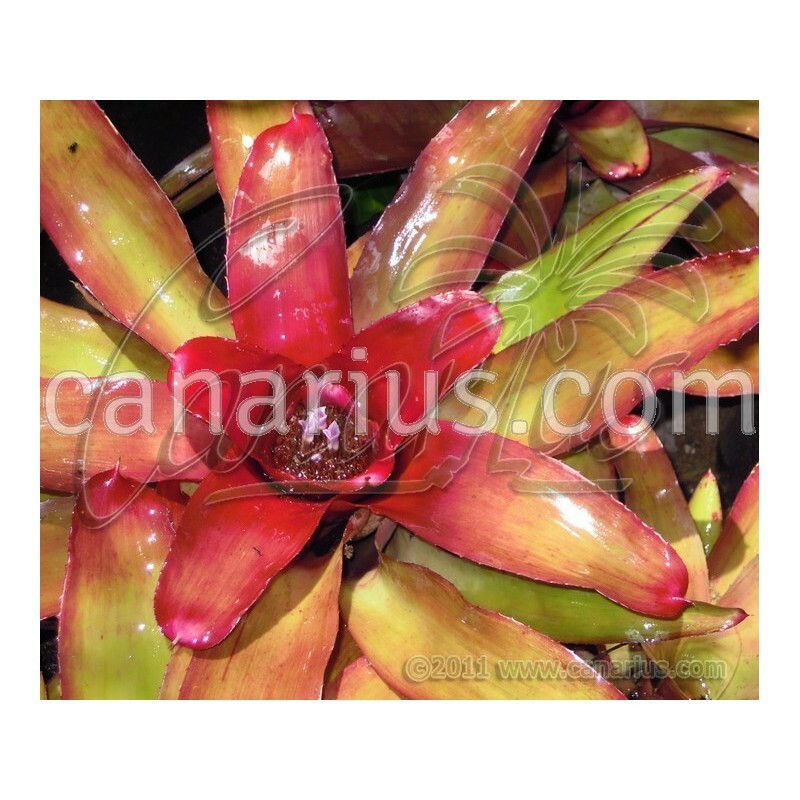 According to the Bromeliad Cultivar Register, Neoregelia x Luxurians is a " cv. 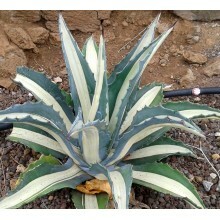 of unknown parentage - Old standard - Resembles an upright 'Meyendorffii' w/coral-pink flush on apple-green rosette - rounded apiculate red tipped leaves - flush more evident on exposed leaves - Seaborn says the center turns purplish-blue at bloomtime - entire plant is red in bright light." 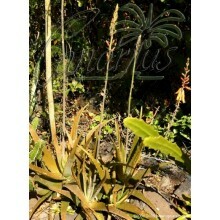 We offer one rooted plant of Neoregelia x Luxurians, of 20-25 cm, able to flower in one or two years.